Come see how you can live and drive with minimal to no impact! 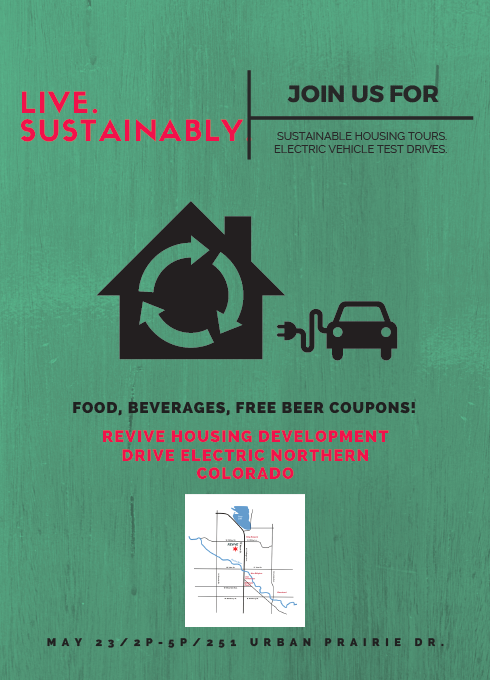 Revive sustainable community and DENC are working together to demonstrate how geothermal and solar-powered homes work great with EV drivers! May 23 from 2pm-5pm at 251 Urban Prairie Drive, Fort Collins, CO 80524.